We thought we ought to start visiting some of the local things you can see and do near the farm. 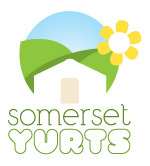 As we have tickets for the West Somerset Railway available to purchase at a discount from the farm, we thought that would be a good place to start! We picked up the Steam train at Bishops Lydeard, a short 20/25 minute drive through lovely countryside from the farm. It all felt very Harry Potter-ish waiting on the platform for the train! Once on the train, we definitely felt like we were on our way to Hogwarts! The train is lovely and old fashioned, and much comfier than the horrible modern ones I used to take to London back in my corporate life! The journey takes you through some stunning countryside on the way to the North Somerset coast – plenty for children to spot, with sheep and cows dotting the landscape. We decided to get off at Watchet as we were getting peckish and were hoping to find some fish and chips! Definitely recommended for a family day out. Will’s first trip on a steam train!